For most all of its 62-year history, NASCAR has been a battleground for U.S. automakers, each of whom sought superiority on the race track as a way to sell more of their cars. 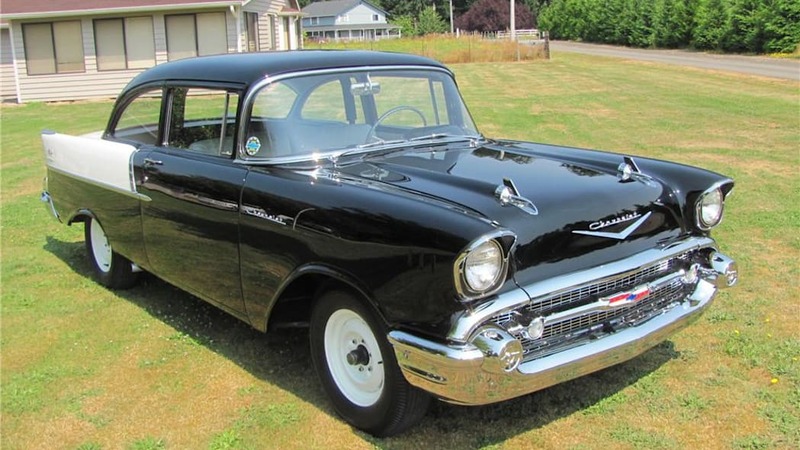 In 1957, Chevrolet decided to create a race car that would dominate NASCAR and establish Chevrolet as the car to beat in the minds of buyers across the country. 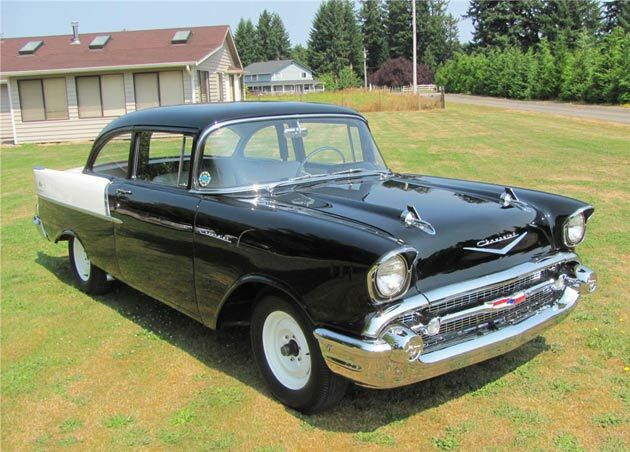 Known as the "Black Widow," the 1957 Chevrolet was one of the most feared race cars of the decade. Live on SPEED Thursday at 8:30 PM ET, a professionally restored "Black Widow" tribute car will be auctioned off at the Barrett-Jackson Las Vegas Collector Car Event. Like all cars at Barrett-Jackson, it will be auctioned at no reserve, meaning the highest bid takes it. The story behind the Black Widow is an interesting insight into how NASCAR and the automobile manufacturers functioned back in the day. Bone up on your history after the jump. On June 6, 1957, the Automobile Manufacturers Association, a coalition of U.S. automakers, formally banned automobile racing, prohibiting advertising of race results, speed features of race cars, providing pace cars to tracks and other promotional activities. This came in response to heavy Congressional pressure in the wake of a crash at the 1955 24 Hours of Le Mans that killed more than 80 people when a car went off course and crashed into the stands, exploding in a ball of fire. Rather than have Congress legislate a withdrawal from racing, the automakers did it themselves. At the same time, the automakers were doing everything they could behind the scenes to get around their own restrictions. In the case of General Motors, they hired former Hudson lead race engineer Vince Piggins and moved him to Atlanta where he established a business known as the Southern Engineering and Development Co., or SEDCO, which was run out of Nalley Chevrolet in Atlanta. Under Piggins' watchful eye, SEDCO built the first Black Widow for competition. 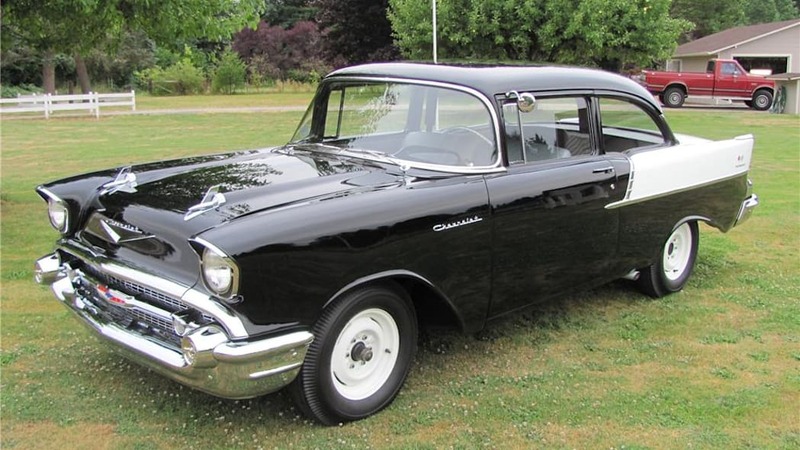 The car was based on the economy Chevy One-Fifty Utility Sedan – or 150, for short – and featured a host of special go-fast items: a fuel-injected, 283-cubic-inch, 283-horsepower small-block Chevy engine, three-speed manual transmission, six-lug wheels, 20-gallon gas tank and no radio, cigarette lighter or arm rests. In April 1957, Piggins put together a manual called the "1957 Chevrolet Stock Car Competition Guide," which explained in great detail how Chevrolet dealers could build their own Black Widows. The manual, which was mailed to 411 Chevrolet retailers, contained 170 individual GM-made parts that were needed to convert a stock Chevy 150 street car to a full-on NASCAR race car. "This valuable brochure is provided to acquaint dealers, as well as performance-minded individuals, with the techniques that permit greatly safety and entertainment value for all who enjoy stock-car competition in the highest traditions of the sport," GM wrote in the introduction of the manual. The guide had some interesting details. On color choice, it noted "green is taboo in most American racing circles," an old superstition about the sport. And it recommended the 150 as the model to race because, "It is rugged and dependable, low in cost, with no unnecessary weight to hamper performance; and conforms with all (NASCAR) sanction requirements." GM ordered SEDCO to be shut down after the racing ban, but in private hands and with – allegedly – no factory support, the Black Widows were raced successfully all season long. Buck Baker would go on to win the 1957 NASCAR Grand National championship, today's equivalent of the Sprint Cup, in a Black Widow. This despite the fact that rules were changed in mid-season to outlaw fuel injection. Others who drove them included Speedy Thompson, Rex White, Bob Welborn and Fireball Roberts. 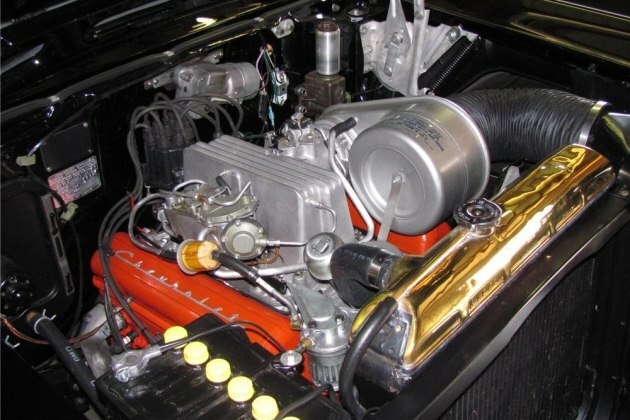 To this day, the Black Widow remains a subject of much discussion and intense debate among Chevrolet fans. 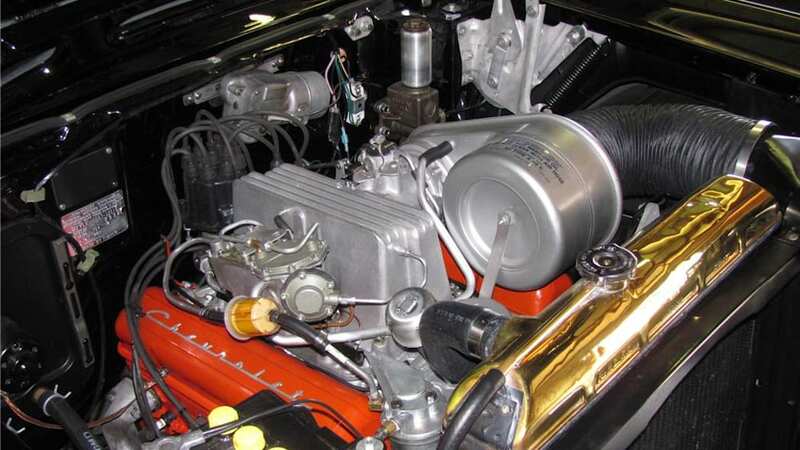 No one knows exactly how many Black Widows were built or how many survived, and the details of the car are a source of fascination among hard-core fans. The car being auctioned off tonight at Barrett-Jackson is a two-year rotisserie restoration, done completely by the "1957 Chevrolet Stock Car Competition Guide" specs created by SEDCO. It comes with the correct 283cid, 283 hp motor and fuel injection unit, 20-gallon gas tank, two shocks per tire, six-lug wheels, tire well delete, radio delete, lighter delete, no arm rests, one visor and the correct Firestone tires. "No expense spared and attention to detail is very evident," the sellers said. "This example is about as close to what SEDCO produced in 1957 as you can get." Look for it to sell tonight live on SPEED at 8:30 p.m. ET. This article originally appeared on SPEEDtv.com and is republished with permission. Check your local listings for SPEEDtv's live coverage at Barrett-Jackson Las Vegas on SPEED tonight, Friday and Saturday (September 23-25, 2010).